I was on Facebook and saw that one of my friends had commented about a picture that one of her friends put up. 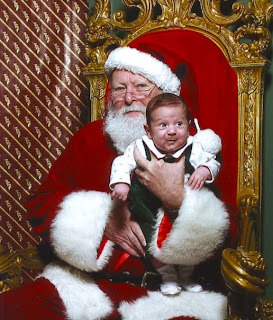 I guess this friend's baby was not thrilled with Santa. After reading a few comments I decided I needed to see this picture ... I was not ready for below. I don't even know whose baby this is but oh my.